The 2019 two-day Maidenhead Festival will take place over the weekend of 20th & 21st July. The family-focused event will feature music, a beach, fairground, stalls and side shows and if you're lucky you might spot a friendly clown or acrobat! The festival will be centred around Kidwells Park but aims to involve the whole of the town and local community. Admission is free over the weekend. Charges will apply to refreshments and some activities. We are selling advertising space (visual only) on the cinema screen as a way to try to generate a little bit of income to help pay for the event. The screen, and your advert, will be on a continuous loop throughout the two days of festival so a great opportunity for your business to be seen with a high hit rate. The cinema screen will be running from 10am to 10.30pm on Saturday and 10am to 9.30pm on Sunday. Prices for advertising start at £200 for 2 minutes. 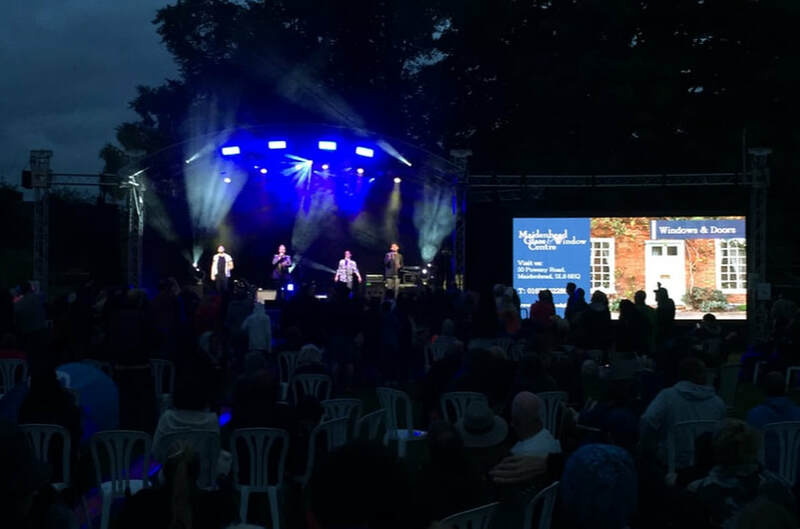 Maidenhead Festival 2018 was a huge success with more than 15,000 people coming to enjoy the event and we are very grateful to all the individuals and organisations that donated money and time to make it possible. This year we want to follow on from the success and make it an even bigger community event for our town. "Can't believe it's a free event with everything you need. What more could we ask for?" 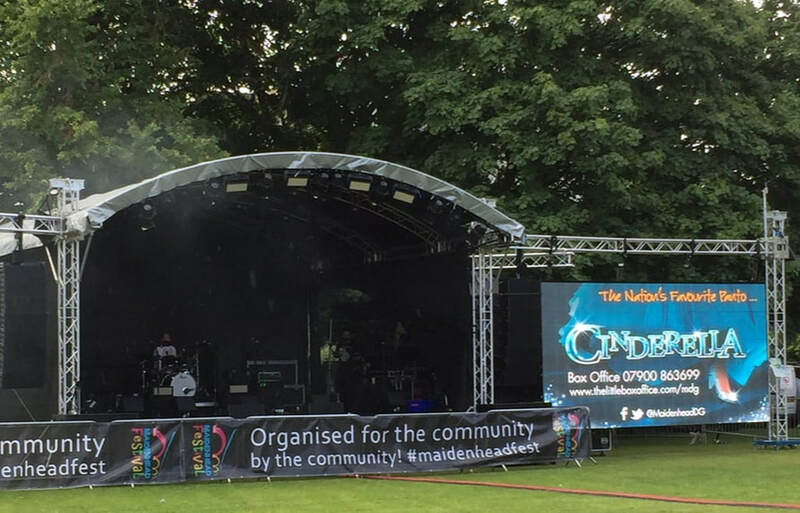 Maidenhead Festival is organised for the community, by the community. We have a small team of dedicated volunteers who fundraise, plan, organise and make festival happen each year, none of whom are paid. Festival is a standalone event, it is not a council-run or funded event. As a member of Maidenhead Bridge Rotary Club the local community is always at the front of my mind. Coming up with ideas on how to improve the local area, fundraising for local causes and volunteering my time to improve the lives of others. ​When the chance to join the festival committee came about I couldn't refuse. I’m proud to head up the team that pulls together such a big community event that does so much to support so many local groups and organisations and gives the opportunity for local up and coming musicians to perform. 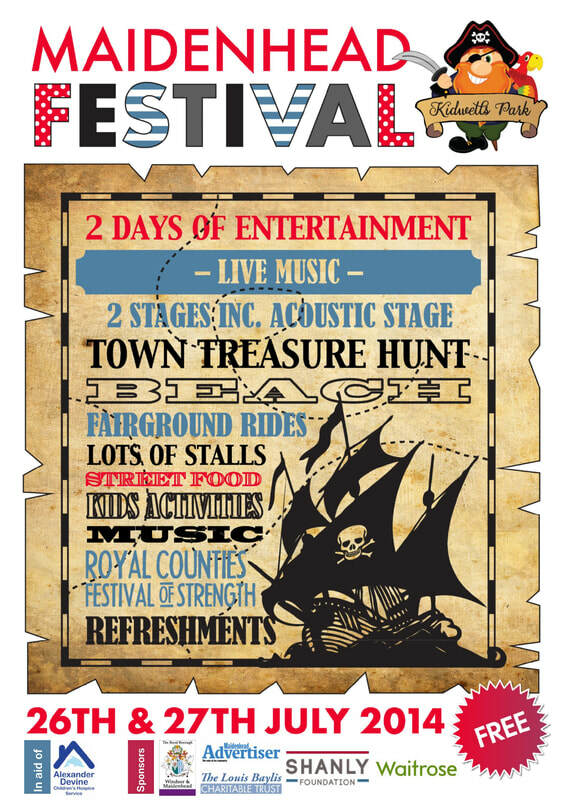 It is brilliant to be able to support this amazing, free and fantastically fun town event. 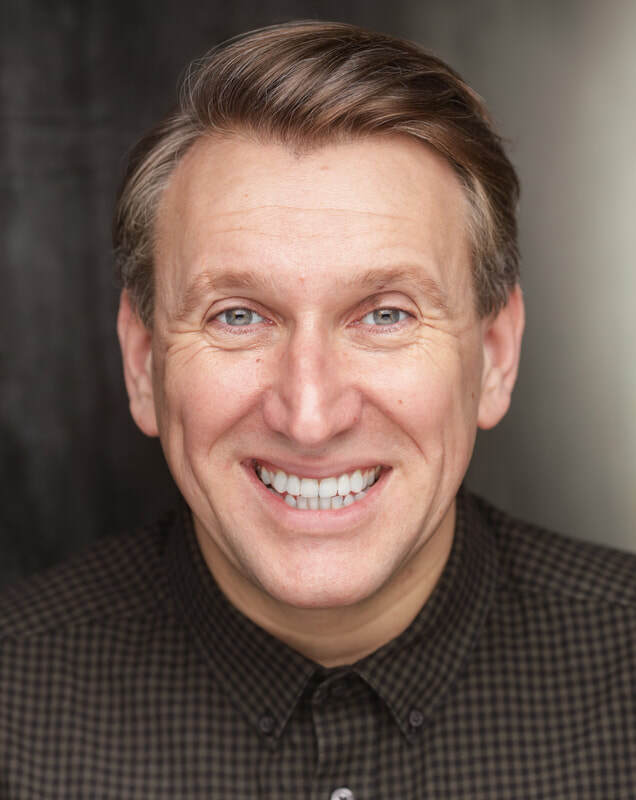 ​I’ve lived in Maidenhead for 18 years and seen many changes in this time and am always astounded at the hard work and dedication of members of the community who give willingly so that we can all get together and enjoy events such as Festival. When my daughter was ‘little’ I volunteered for the NCT, which I thoroughly enjoyed as it gave me a chance to help raise funds for valuable projects locally and nationally. I am very much looking forward to being part of this amazing and dedicated group. I have lived in Maidenhead all my life and through my job as Town Manager have got involved with loads of great community events and got to know lots of people who are doing amazing things for the town in their own time. ​The Festival Committee works tirelessly throughout the year to make sure the town has it’s own community Festival that’s free for everyone to enjoy. We hope you have a great time at this year’s event and spread the word to everyone to come and join us. I’ve been involved with the festival almost since it began and am a former chairman of the event in its previous incarnation as Maidenhead Carnival. ​Maidenhead Festival is a fantastic event that brings enjoyment to so many people and is a brilliant thing to be involved in.